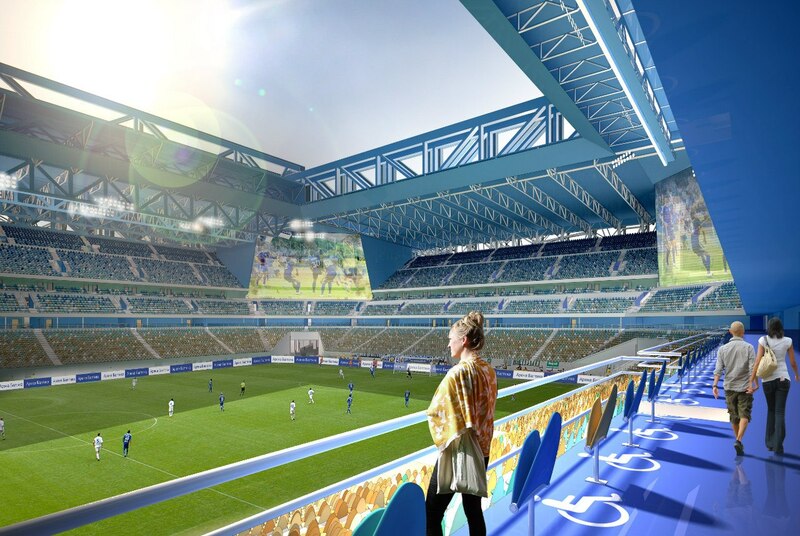 Designed in 2012-2013, the new stadium in Kaliningrad was supposed to be among the most advanced worldwide. 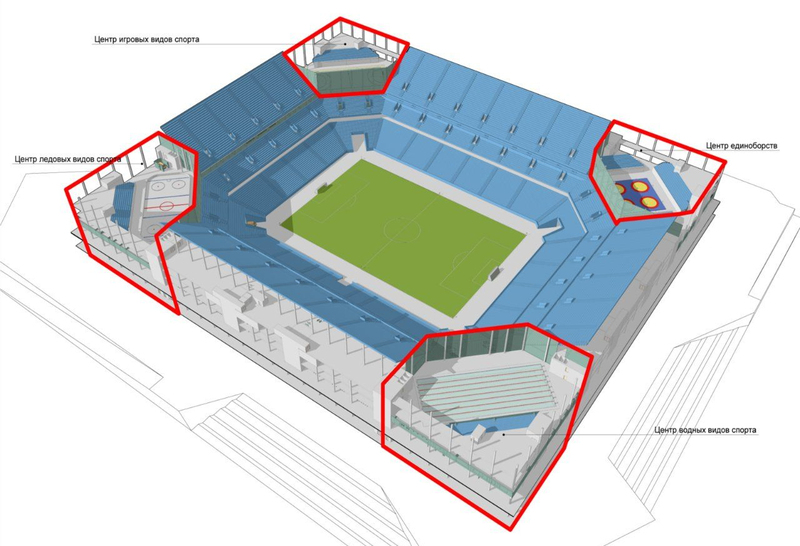 Retractable roof, possible lowering of the entire canopy as part of post-tournament downsizing and even more – extensive sports complex located within the 4 corners. Swimming pool, basketball, volleyball and tennis courts, ice rink and more, only adding to large floor space for hospitality and office use. 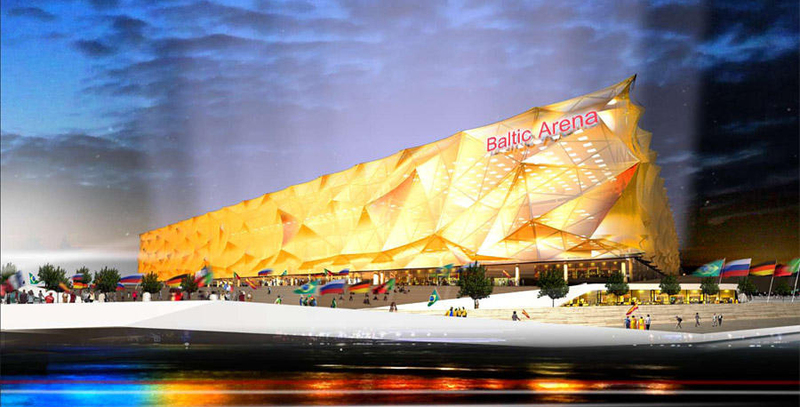 This would have been truly stunning, surely enough to compete for top events with Stadion Energa in Gdansk and PGE Narodowy in Warsaw. 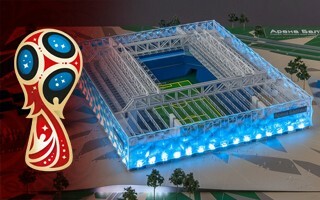 The 2013 design was completed by Mostovik, a renowned company from Omsk. Unfortunately, the contractor went bankrupt and thus could not carry out his tasks, including architectural oversight of the construction process. The selected location proved far more problemating than initially expected. The Oktyabrski Ostrov area was cleared for construction already in 2013 and 2014, not without corruption charges. But construction just wasn't coming and only began in 2015, with serious threat of ground stability beside the bank of Pregolya. Even the sports minister appealed for the region to change its stadium site to a more feasible one. The two above reasons resulted in Kaliningrad becoming Russia's most delayed city. By the summer of 2015 it was the only one not to get the stadium under construction. In a frantic effort to keep Kaliningrad's hosting rights, completely new design was commissioned from Crocus Group, the eventual contractor. With simplicity in mind, the stadium was also downsized to below 35,000, almost 10,000 seats below regular FIFA capacity requirement. With no doubt the delivered stadium is far below the quality proposed at the start. Unfortunately, instead of the planned RUB 12 billion, Kaliningrad had spent 17.75 billion even with the drastic cost-saving measures. This happened due to Russian currency crisis in 2014-2015, from which the ruble is still yet to recover fully. In fact, by exchange rates, 12 billion from 2013 is still more than 17.75 billion in 2018. 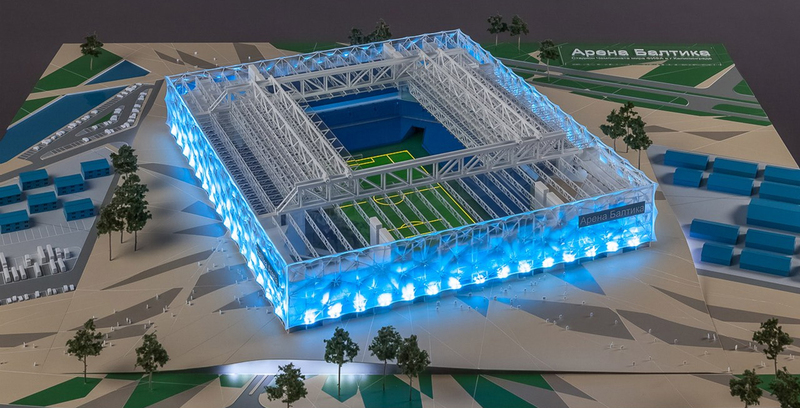 Had it been the initial stadium plan, cost may have been far higher.